I’m grateful to be in a loving community of sharing with you all. Right now, it’s heartening to hear from a number of you about the auspicious astrological changes sweeping us towards a new reality. You share the good news that the planets and the stars offer big support to wake up, trust our inner guidance and shift gears. Uranus moved this week from Aries where it has been for seven years to Taurus. Uranus in Aries brought us Fukushima on its very first day. I would like to hope that we can wake up during Uranus’ time in Taurus without this kind of firestorm. Uranus in Taurus can bring Taurus’ steadying, grounded and persistent energy to solve the problems we face- an energy we sorely need. But all of you have mentioned that Uranus is very unpredictable, so who knows. In any case, I am wholeheartedly glad that this shift will bring the unconventional and disrupting energy of Uranus to bear on the Taurian concerns of resource misuse on our dear planet. It’s time to take care of the only home we have. One thing I’ve been asking myself is, are these stories I’ve filled my cup with really my stories or are they someone else’s? Why do we so easily cede the territory of stories we tell ourselves to someone else’s story? I think particularly of how many parents work to shape their children’s narrative about themselves. True freedom is letting go of whatever inherited ideas we were fed about who we are in favor of acknowledging what we know FROM THE INSIDE to be true about our own selves. In honor of this new moon I pledge to once and for all stop concerning myself with my parents’ stories about me. For example, let me heave ho once and for all my father’s remarks about me working for the devil. This was his problem of perception, not some truth about my earnest work to love the world with Flowers. Grappling with family of origin myths is one thing. Grappling with cultural mythology is another. Who is controlling the stories right now? By what criteria do we believe them? Is this reliable information or do we need to source confirmation elsewhere? I really like the way platforms like you tube give us a chance to hear lots of different stories and different perspectives so we can sort out and dismiss erroneous information in the face of more data and many points of view. In addition to listening to many perspectives before we believe what we’re told, we ALWAYS have the discerning tools of our own inner guidance and the way our physical body feels to help us sort out these many different narratives. We really need these discernment tools in a world where self interest still drives people to control the information or when that fails, lie to everyone. For example, in our own little town there is a big fight going on about the fate of our public library. In an effort to stop an upgrade and close the library, an anonymous group has mailed multiple flyers to everyone in town full of misinformation about the library and the town budget in general. Town meeting is next week and this is where the fate of the library will be decided. In New Hampshire, the voters in each town make most decisions about running their town during this all day meeting. I wish I enjoyed the meeting more. If I were more detached, I would probably find them fascinating, but mostly these meetings give me a headache. Democracy is messy with lots of points of view and some of these opinions are painful to contain. So it’s the thing that gives me a headache that also makes the meetings good. Like you tube, town meeting is a place where anyone can speak and everyone can choose who they want to believe. Unlike you tube, when I am tired of listening to someone, I can’t turn the person off, but really, that’s my problem. It will be interesting to see who has bought into this misinformation campaign intent on closing the library and who has asked around for actual facts. Will these anonymous flyer writers come forward to be held accountable for their misinformation? How have their lies impacted everyone’s understanding of the situation? 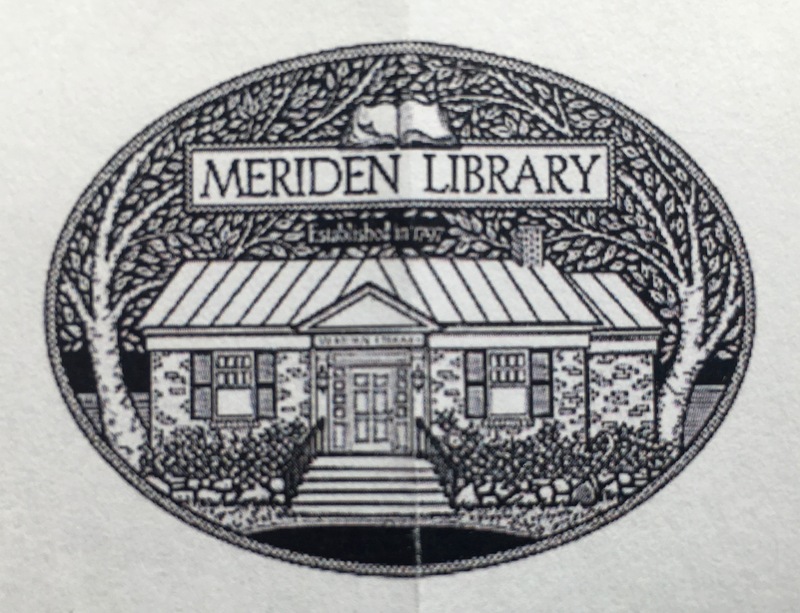 In full disclosure, Vicki, GHF staff goddess and president of the Friends of the Meriden Library, is a leader in the fight to save the library and Jen, GHF staff goddess, is trying to join her by running for a place on the library trustees. In full disclosure I am with them! I’ll keep you posted on how it turns out. I’ll try to be as factual as possible, but not to worry, the anonymous flyer makers will offer a different point of view on every media platform in existence, so you will be able to source their campaign to puzzle out what the heck is going on in a town where the library is the big flash point of controversy. At first I wondered how this blog about Uranus and inner truths ended up on the topic of our Meriden Library, but it makes sense to me when I consider this; Libraries are a place where different points of view about what has happened and what is unfolding are gathered. Libraries share many different stories and points of view. They offer so many ways for people to seek a diversity of opinions and clarify what is true for them. And in our town, they are also the place where meetings of people with diverse points of view happen. Maybe that is why this anonymous group wants this one shut down. PS One Flower Essence for discernment is Spiderwort and one Flower Essence for understanding your body’s wisdom is Amaryllis.